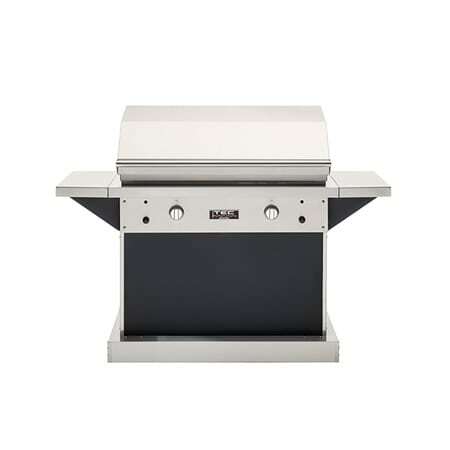 The TEC Patio FR Pedestal Infrared Gas Grill – 44” with infrared technology allows this grill to reach up to 60,000 BTUs without drying out your food. 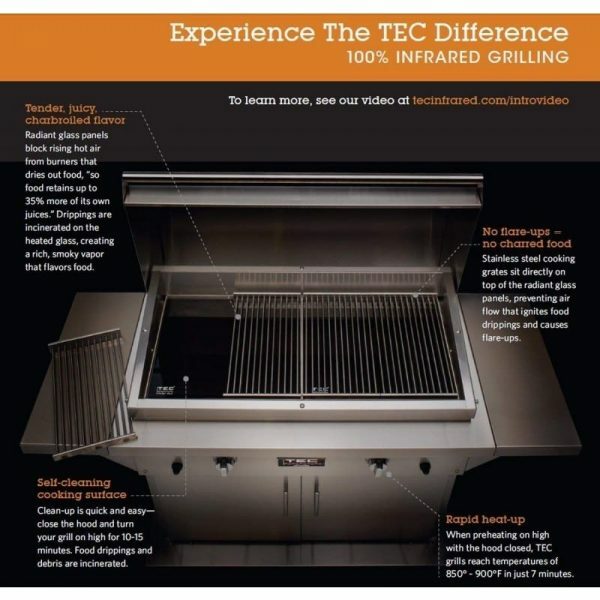 The radiant glass panels catch any food droppings and then incinerates them providing your food with optimum flavor and moisture. 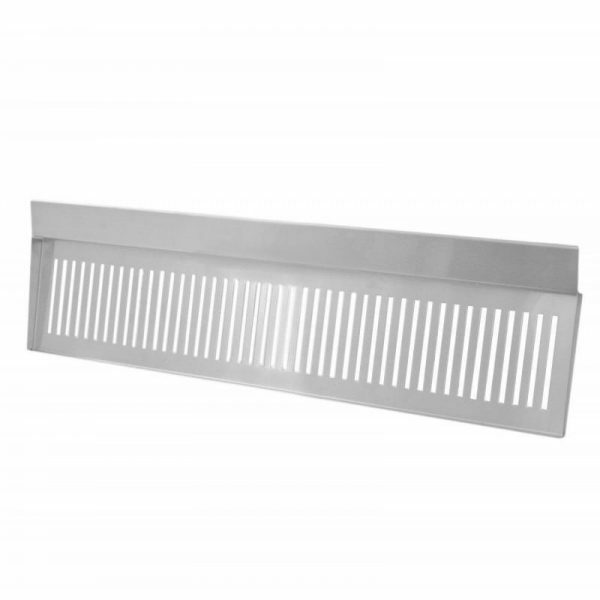 The cooking grates can be removed from the grill allowing you to transform the glass panels into a stove top to give you a wide variety of cooking options. 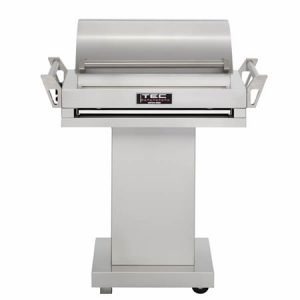 The TEC Patio FR Pedestal Infrared Gas Grill – 44” is handcrafted from 304 stainless steel in the USA. 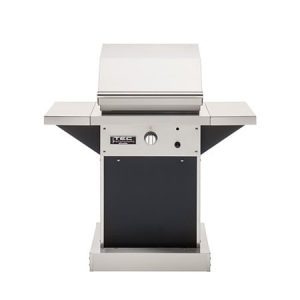 This grill features a limited lifetime warranty giving you peace of mind. 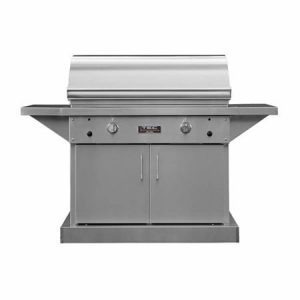 The side shelves give you outdoor counter space allowing you to have everything you need for the perfect cookout easily within reach. 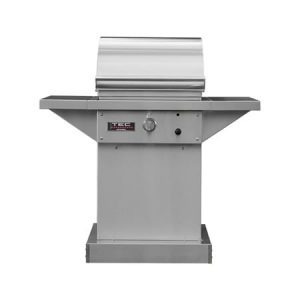 This dependable unit will help you complete your quest of becoming a true grill master.